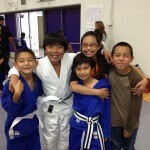 Last weekend Smash Kids Martial Arts student, Louie Noble Jr., competed in the Santa Clara PAL Judo Invitational. 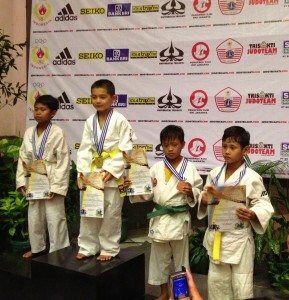 Louie faced some really big and tough opponents in this local event and fought very well. Louie placed 2nd and look home the silver medal! Then on May 24, Aaron Jen competed in the 2013 Ganesa Cup Judo Open Championships in Jakarta, Indonesia. This international competition hosted competitors from Indonesia, Australia, France, Malaysia, Singapore, and Russia. Aaron represented the USA. The skill level of all the kids the teens was extremely impressive. It was very interesting to see the various styles of judo and how they differed from what Aaron had experienced competing in the USA. The kids in this single elimination competition were grouped only by weight (no age or belt color separation). Aaron came out strong and won all his matches, placing 1st in his division. Congratulations to both boys on their stellar performances! Check out the action packed highlights! To watch in HD, change the quality setting when the video begins. 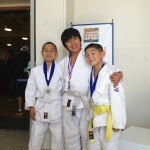 Louie Noble Jr., Derek Jen, and Aaron Jen competed in the May 2013 San Mateo Boys and Girls Club Judo Developmental Tournament. This is a small informal tournament put on 4 times a year for kids to give beginners competition experience. Aaron was in a division in which he rolled though all 4 of his matches with ease and used the opportunity to try techniques he had not pulled off in competition before. Derek was in a really tough division. Not only was his division filled with kids his belt level and higher, but many of the kids were also significantly heavier. Derek ended up winning 4 out of his 6 matches. Louie Noble Jr. dominated and won all 6 of his matches by either pinning or throwing his opponents for ippon. In the end, Louie and Aaron placed 1st and Derek placed 3rd in their respective divisions. Check out the highlights! To watch in HD, simply change the quality setting on the player when the video begins! 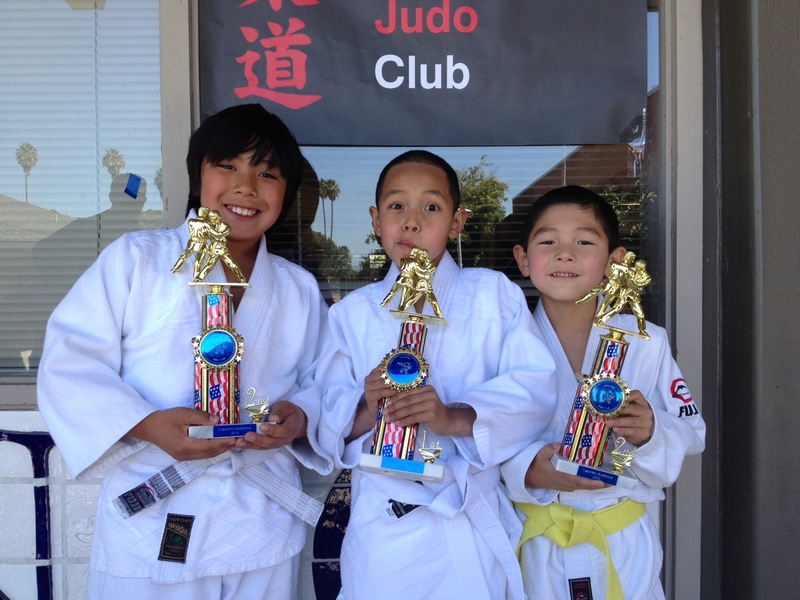 This past Sunday, Louie Noble Jr., Derek Jen, and Aaron Jen competed in the 2013 Cupertino Judo Invitational Tournament. This annual event is one of the larger competitions of the northern California Bay Area and draws many of the top local competitors. Louie and Aaron placed 2nd in their respective divisions and Derek placed 1st! Congrats to all these hard working boys! Check out the highlights of the event! To watch in HD, change the quality setting on the player once the video begins. 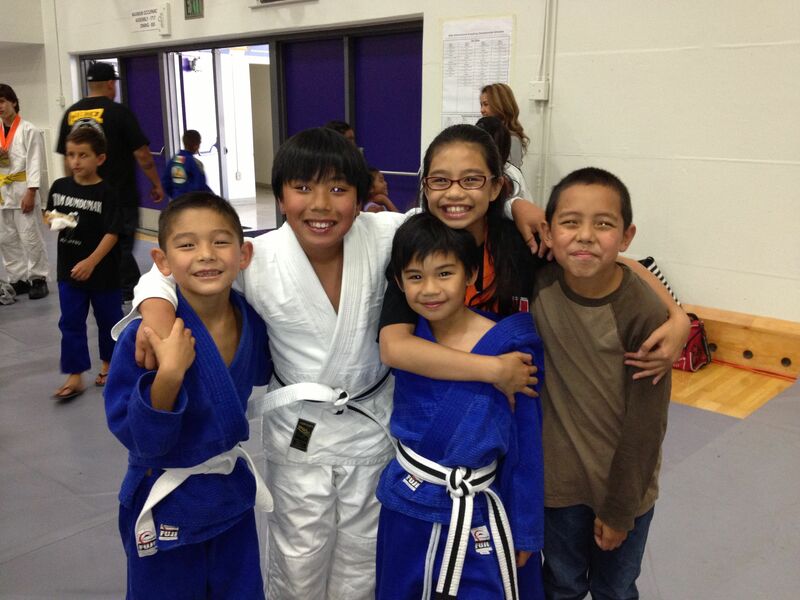 Smash Kids represented at the 2013 Makimoto Judo Club Judo Invitational Tournament weekend! 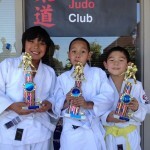 This competition was sponsored by the Vacaville Police Activites League (PAL). This was Derek Jen’s second competition and he had an incredible performance. He won every one of his matches in under 5 seconds and took 1st place. Aaron Jen was in a division that was a mix of his belt level and higher. He had a huge bracket and had 6 matches. Aaron won all his matches and took 1st place. 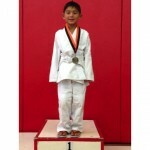 Louie Noble Jr. competed in his first judo competition. Louie was going against some experienced competitors and ended up taking 3rd place! Awesome work! Here are the highlights with all three boys…. Krav Maga Testing and Promotions! 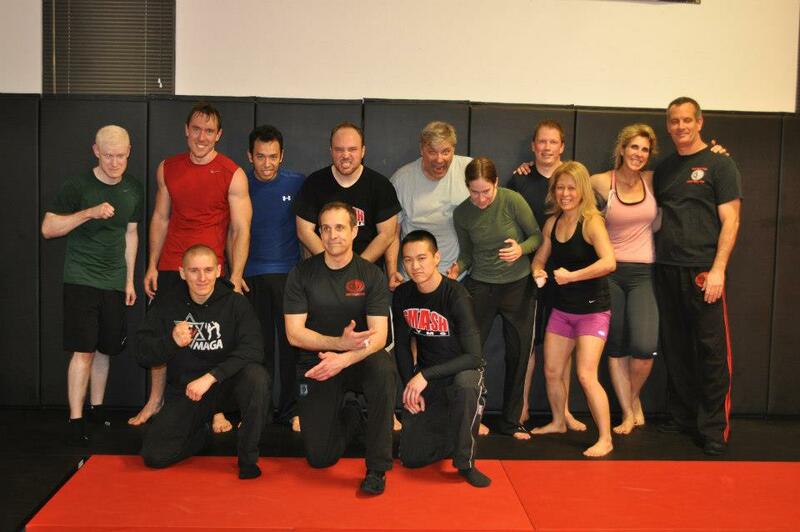 Congratulations to the Smash Gyms Krav Maga students who tested this past weekend! Their grueling exam tested every student’s mental and physical limits. Practitioner Level 1 Test Graduates: Eddie Garcia, Sean Carty, Travis Grusecki, Hannah Lipsky, Naomi Harel, Andrzej Matłosz, and Viola Chung. Practitioner Level 2 Test Graduates: Cris Neckar and Brad Stenning. 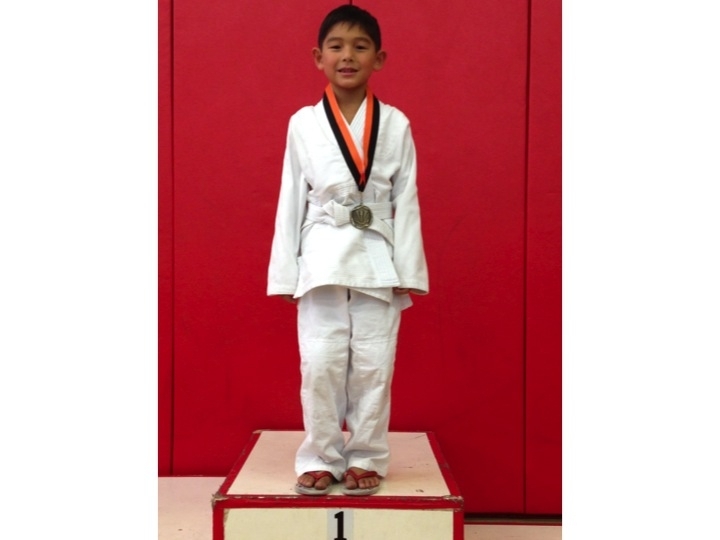 On Sunday, Jan. 20th, Smash Gyms Kids Martial Arts student, Aaron Jen, competed in the 2013 West Clovis Judo Invitational held in Fresno, CA. Aaron won all 4 of his matches by ippon (pin or throwing an opponent flat on their back) and took 1st place. Another big congrats on a great performance! Check out the highlights from Aaron’s matches…. This past Sunday, Oct. 21st, Smash Gyms Kids Martial Arts program student, Aaron Jen, competed for the first time in judo at the 2012 Albany Judo Invitational. Different from Brazilian Jiu-jitsu where the emphasis is on the ground, one of the main goals in order to win in judo competition is to throw your opponents flat on their back. He had several tough matches and ended up placing 1st in his division. Big congratulations to Aaron! Here are some quick highlights of Aaron in action!